What's your favorite kind of whiskey? Do you know the difference between a Bourbon Whiskey and a Tennessee Whiskey? Would you be able to pinpoint if a whiskey was made with corn, rye, wheat, barley, or a combination? Not sure which whiskey pairs well with that Arturo Fuento Lost City cigar? I don't know many people who have definitive answers to all of those questions. Well, perhaps other than the first one—but I'm willing to bet even that one would be open for debate were hundreds of bottles lining the shelves before you. There are hundreds of North American varieties of whiskey alone. I'm partial to Scottish whisky. I have some Irish recommendations, as well. But you can also find whiskey being made in Australia, Sweden, and even Japan (I have a few on my to-try list right now). So really, I think the quest to find the next greatest whisk(e)y is always on the forefront. 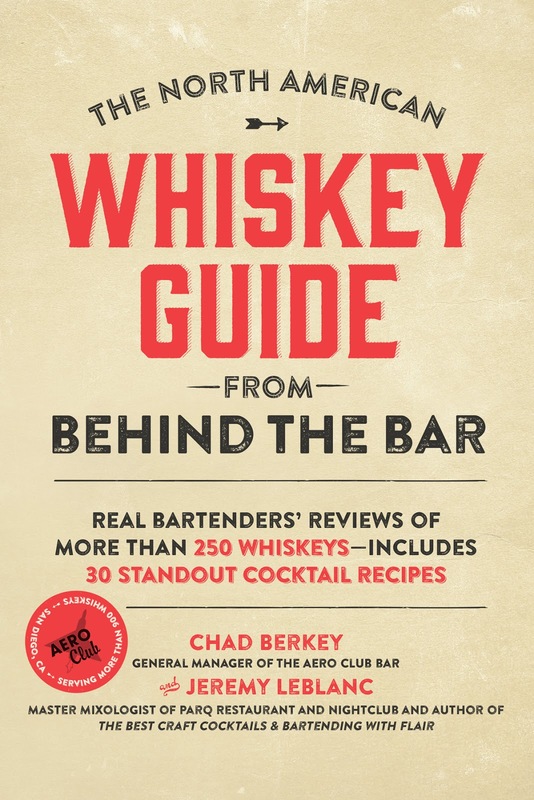 I recently received a copy of The North American Whiskey Guide from Behind the Bar, the newly released book by Chad Berkey and Jeremy LeBlanc (who between the two have over 40 combined years behind). They chose over 250 different varieties of North American Whiskey (the ones most frequently ordered by their patrons) to feature in the book. 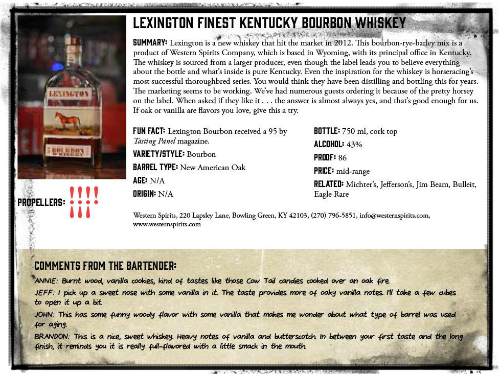 They asked 4 professional bartenders to join them in blind tastings of each whiskey, and combined their feedback with their own tastings and reviews, and feedback from the patrons in the bar, to offer honest and thoughtful insight on each type in the book. Shake off the winter chill by combining your favorite rye whiskey with a hint of warming spice in this Winter Waltz cocktail, originally from Arnaud's French 75 in New Orleans. Add all ingredients except garnish into a shaker. Shake and strain into a chilled cocktail glass. Garnish with star anise. If you like this, you might also want to try these other cold-weather fancies: Winter Spiced Vodka or this Winter Squash cocktail. 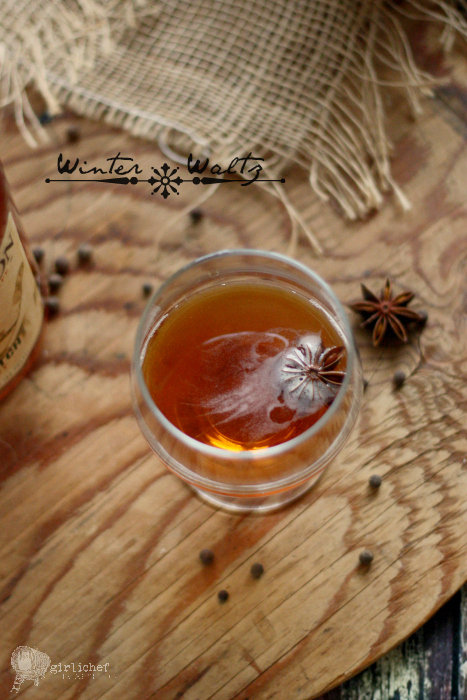 And if you're not sure that you want to shell out the cash to purchase it, try making this Homemade Allspice Dram from my friend Sue at the View from Great Island (I did). fun features: Recipes are the "meat" of a cookbook, but it's a little different when the book is about cocktails. 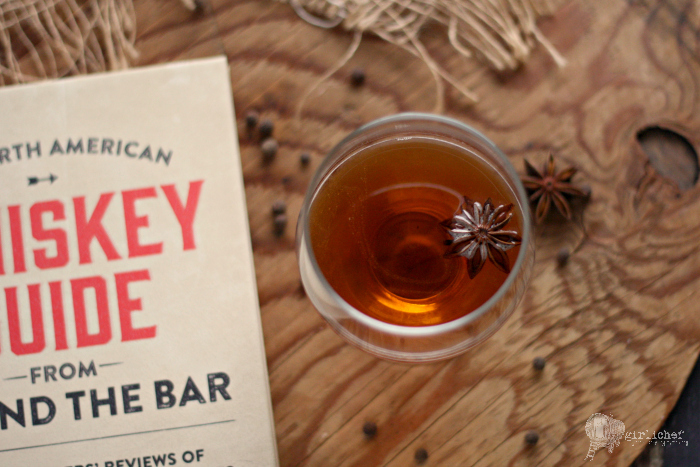 In this guide, the recipes are more of a bonus—the quick and easy reference guide to so many North American whiskies is really the meat here. And extra fun? The whiskey and cigar pairing guide in the rear of the book. Laid out on two pages like a centerfold, they give you the name, country, and price range of a cigar and then tell you which whiskey to pair it with (notes on cigar taste and nose included). about the authors: Chad Berkey is Vice President of TIN PLAY Precision Pour Flair Tins, LLC. Along with his business partner, Jeremy LeBlanc, Chad invented and patented the innovative TIN PLAY Precision Pour Flair Tin and accompanying four-way muddle, jigger and can/bottle opener. Chad brings to TIN PLAY his vast and varied experience, having worked in all facets of the bar and restaurant industry over his 22-year career. When an injury derailed his professional motocross career, he focused his full interests on becoming a show bartender. He honed his skills in the Virgin Islands, working in resorts and nightclubs. 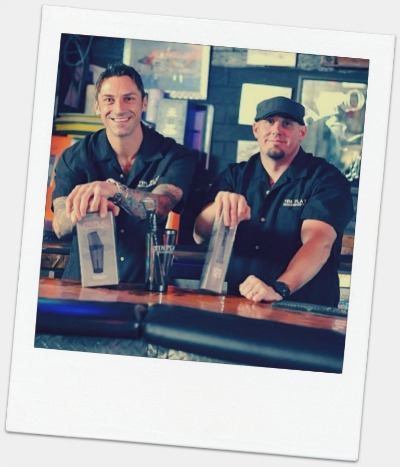 In 1998, he moved to San Diego where he began his successful bartending career. He currently manages and bartends at one of the countries most established whiskey bars, The Aero Club Bar. Jeremy LeBlanc began his bartending career in Boston and today is the president of TIN PLAY Precision Pour Flair Tins, LLC. He has more than 17 years of experience as a bartender and began his bartending career at one of Boston's busiest and most prominent clubs, The Rack. He moved to San Diego in 1999, and worked at a high-volume tequila bar in Old Town. He helped ALTITUDE Sky Lounge—Condé Nast Traveler's pick as one of the top 10 rooftop bars in the world—become a high success on the San Diego nightlife scene. He currently serves as the master mixologist and lead bartender of Parq Restaurant and Nightclub, and is the author of The Best Craft Cocktails & Bartending with Flair. What is your whisk(e)y of choice? Do you have a "bucket list" whisk(e)y? What's your favorite whisk(e)y cocktail? This giveaway is open to residents of the US and Canada only. Submissions will be accepted through 11:59 pm ET on Monday, December 15, 2014. One winner will be chosen via random draw and notified via email within 48 hours of the close of this contest, and given 24 hours in which to respond. If no response is received within that time frame, a new winner will be chosen. All entries will be verified (if the mandatory comment is not received, yet the box is checked, all entries by that person will be voided). I received a free copy of this book for being on the blog tour. As always, all opinions are my own.